Flying by with another Halloween design. 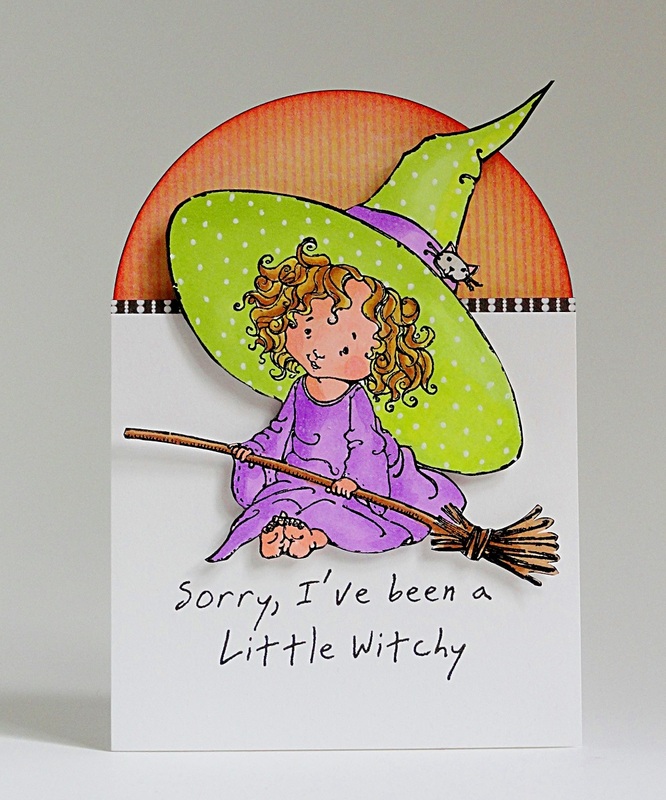 This little witch from Penny Black (illustrated by Mo Manning) will cast a spell on you. A little bit of coloring (Copics) and some fussy cutting and the magic is released. 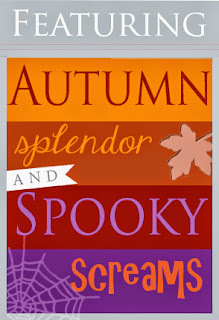 A small twist on the traditional card shape along with patterned papers give this Halloween greeting a festive flair.